The U.S. Air Force is restructuring its information technology office to include new components that would assist the service's chief information officer in the area of intelligence, surveillance and reconnaissance, C4ISRNet reported Tuesday. A new combined intelligence/IT office and a corresponding deputy CIO would take up duties divided from the primary CIO's responsibilities. Meanwhile, the CIO's role will elevate as an Air Force undersecretary. 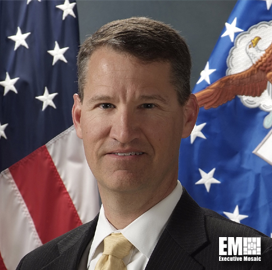 Bill Marion, deputy CIO of the Air Force, said at an Armed Forces Communications and Electronics Association event that the new office would bring offensive, defensive and ISR communities together for full-spectrum information warfare. Marion oversees a $17B portfolio covering 54,000 cyber operations, and leads the service branch's IT investment strategy, as well as associated policy.